In just four days, a fundraising campaign on Facebook has topped $13 million to help reunite undocumented families split up by the U.S. government at the Mexico border. The fundraiser page, "Reunite an immigrant parent with their child," was launched on Saturday by three former Facebook employees. As of Wednesday afternoon, more than 340,000 people had donated to the fund, which was fetching more than $3.2 million a day in donations. Several people donated $260,000 each. 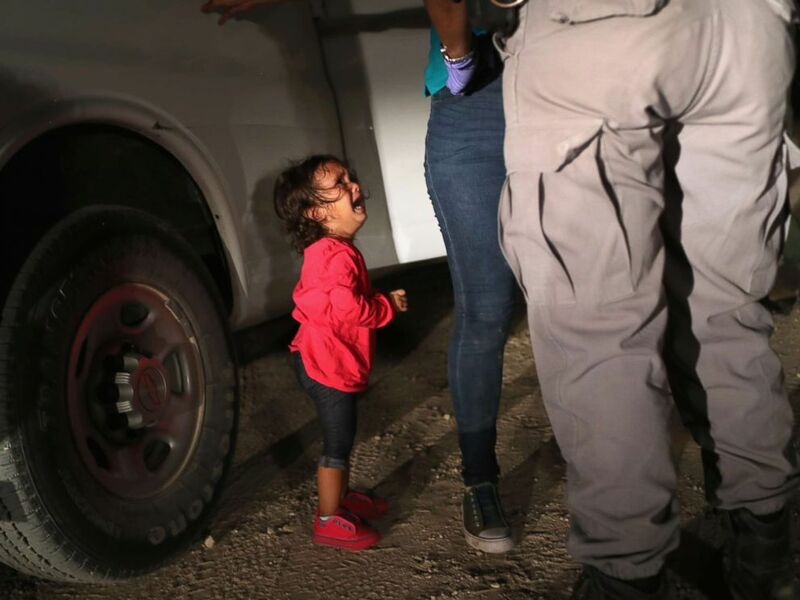 A two-year-old Honduran asylum seeker cries as her mother is searched and detained near the U.S.-Mexico border on June 12, 2018, in McAllen, Texas. "We are collectively revulsed at what's happening to immigrant families on our southern border," the fund's organizers wrote the campaign's Facebook page. The page was launched by Silicon Valley power trio Malorie Lucich and Dave and Charlotte Willner, who were among the original employees at Facebook and now work at Pinterest, the popular image-collecting site. The Willners also work at Airbnb. The goal of the fund has grown, so have the ambitions of those who launched it. The initial goal of the fundraising effort went from $5 million to $8 million on Tuesday. Organizers are now shooting for $15 million. The money will go to The Refugee and Immigrant Center for Education and Legal Services, or RAICES, and provide legal aid for undocumented immigrant parents arrested on suspicion of crossing the border illegally. Ana Maria Rea, education and community outreach specialist for RAICES, told ABC News that it was inspiring to see "the outpouring of support from people all over the country and internationally." "They are helping to shine a light on something that for a very long time we were having trouble really putting out there," Rea said. She said the donations will go to reuniting separated families, posting bail for undocumented parents arrested at the U.S.-Mexico border and providing them legal assistance. While bond for the parents arrested at the border has been set at a minimum of $1,500, Rea said bond had ranged from $5,000 to upwards of $10,000. Unlike in the criminal justice system, bail bond companies either do not help people in immigration proceedings or impose strict requirements. "We are committed to making sure they have legal representation because unlike in our criminal court system, people in immigration court proceedings are not appointed legal representation. So that is where we come in," Rea said. "They do have the right to remain silent and other things that are protected under our Constitution, but they do not have the right to an attorney if they can't afford one. "We are mobilizing and strategizing for a very efficient and prepared plan to allocate these funds towards exactly what people want them to go to, which is family reunification, making sure that the children can get back to mom and dad," Rea said. President Donald Trump and Homeland Security Secretary Kirstjen Nielsen defended the administration's controversial immigration policies earlier this week. But under growing pressure to act unilaterally to address the immigration crisis, Trump on Wednesday signed an executive order that he said would keep immigrant families at the border together. As part of the "zero-tolerance" policy, federal prosecutors have been ordered to file criminal charges against any adult caught crossing the border illegally, including those traveling with minors. The children are being placed in the custody of the Department of Health and Human Services and adults are apprehended by law enforcement. Nielson and Trump said the administration was enforcing laws already on the books. "The voices most loudly criticizing the enforcement of our current laws are those whose policies created this crisis and whose policies perpetuate it," Nielsen said at a press briefing on Monday. A Mission Police Dept. 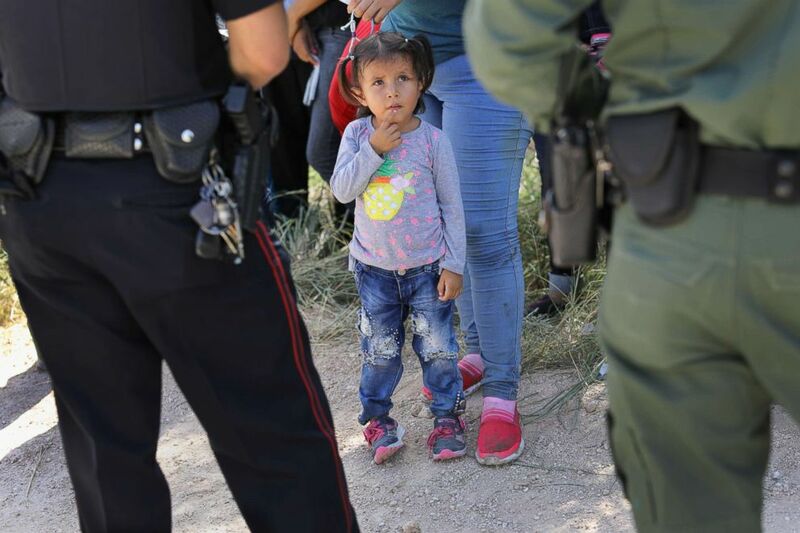 officer and a U.S. Border Patrol agent watch over a group of Central American asylum seekers before taking them into custody, June 12, 2018, near McAllen, Texas. 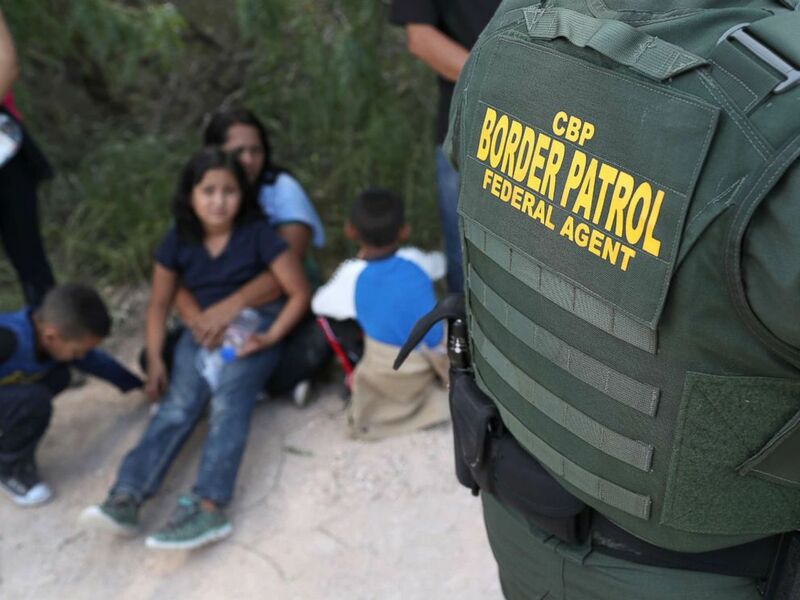 The policy of separating parents from children at the border had been widely denounced by both Democrats and Republicans. Former first lady Laura Bush penned an op-ed in The Washington Post calling the policy "cruel" and "immoral," and comparing it to Japanese internment camps during World War II. Lucich and the Willners called the policy "a grave American moral failing." "These children don't know where their parents are," they wrote on the Facebook fundraising page. "Their parents aren't allowed to communicate with them while in custody. The government hasn't set up a system to reunite separated parents and children if one or both are ultimately released. In many cases, parents have been deported without their children -- sometimes, young children are deported without their parents."